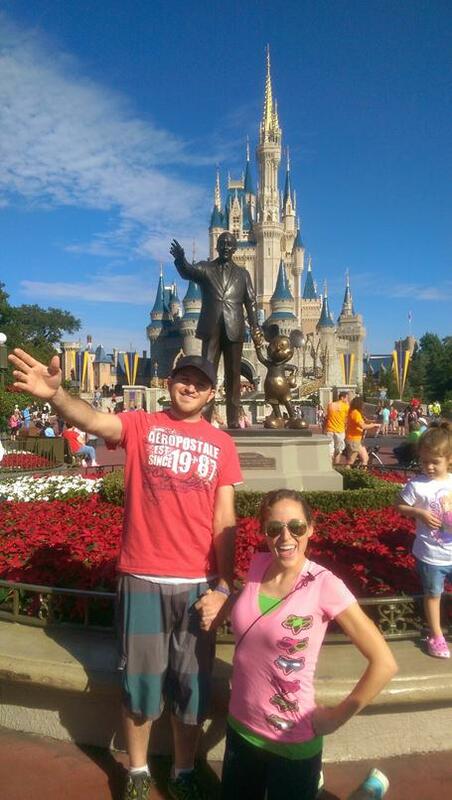 Our trip to Disney World, the Most Magical Place on Earth! Pablo’s cousin works at Disney World and was able to get us free buddy passes for 4 days to any of the 4 parks; Disney World, Animal Kingdom, Epcot and Disney Hollywood Studios. We found cheap tickets for Delta since it was a couple weeks before Thanksgiving and headed out to Florida for 5 days. We had heard that Disney World takes a couple weeks to get everything in, but we managed to do each park a day easy. I’m sure that’s not as easy when you have kids, but fortunately we didn’t have any with us. We left our hometown at 11 PM and got to Florida at 5 AM, picked up our rental car, met up with Pablo’s cousin, ate breakfast and took a quick nap. We got up and headed to Disney World at 9 AM opening time, excitement keeping us awake for most the day until 6 PM hit and we were dead tired from the lack of sleep and walking everywhere. The park was closing at 8 PM anyways for “Mickey’s Very Merry Christmas Party” where you have to pay extra just to stay in the park and see Santa and Christmas shows. Apparently Disney World skips Thanksgiving completely so while we were there Christmas music was playing and they were selling so much Christmas stuff. 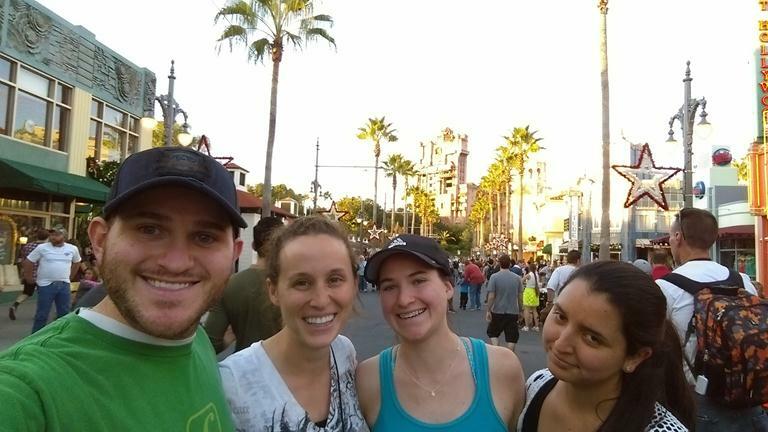 The next 3 days we did Animal Kingdom, Hollywood Studios and Epcot in that order. I enjoyed Animal Kingdom and Hollywood Studios, but I’m not a huge fan of Epcot since I really don’t understand what the park is about. It’s like all of Disney’s leftover ideas dumped into a random park, but I did enjoy the World Showcase where they had the illuminations: Reflections of the Earth over the water and in the center of all the different areas of the World. 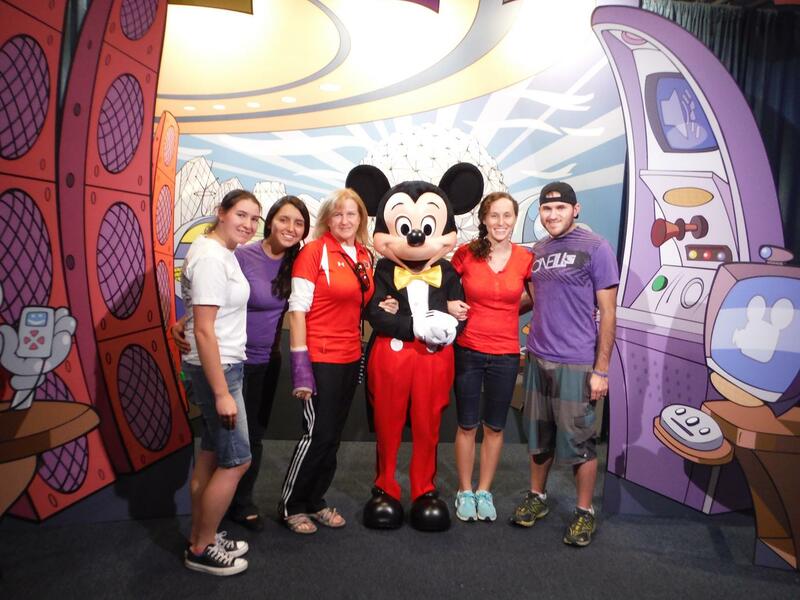 Another bonus of being in Epcot was that we accidentally met up with Mickey, Minnie and Goofy at their photo booths. We got in line for what we thought was a ride to realize as we got closer to the front of the line that it was for getting photos with the cast. One thing you definitely need when you go to a disney park is the My Disney Experience phone app. This application tells you wait time for rides, allows you to change your fast pass times if your day isn’t going as planned and many more things that make the days at the park so much easier! I’m so glad we decided on renting a car. I hate the hassle of waiting for a bus anytime we need to go somewhere and not having the ease of going wherever we want. However, when we picked up our rental car you have the option of paying $44 extra so that you don’t have to worry about the tolls. We weren’t sure how many tolls there were going to be and didn’t want to stress about having to stop and pay in exact cash every time so we paid the extra amount. Well we stayed in the Disney area and the only tolls we came across were the ones leaving and entering the airport, so we ended up eating about $30 because of that. We had to eat at all of the parks which added up the expense quickly, however leaving the parks to find food would have taken a lot of time out of our day and required more walking. The food places around Disney World were almost as much as in the parks anyways so it was worth eating in the parks. However, I wish we had brought a lot more snacks then just a little bag of chips for each of us. I kept eyeballing the churros and pretzels people were carrying around. Oh, and don’t forget a water bottle. The drinking fountain water in Magic Kingdom taste’s nasty. We were thinking of going to Gatorland on our last day since we weren’t leaving until 5 PM but overall everyone was beat from all the parks and we hadn’t budgeted for how much it was (you can check out prices here). We decided to sleep in for once and have a nice relaxing day at the pool. If we had had more time on this trip I would have wanted to spend at least 2 days in Universal Studios, Typhoon Lagoon and Blizzard Beach (a day for each), a day at the beach and a day at Gatorland which has a zipline over the gators! I have been to all the Disney parks and Universal when I was a kid and the one I remember the most is Universal, and I would recommend it over all the parks. We will have to make it back again to do all that we missed.